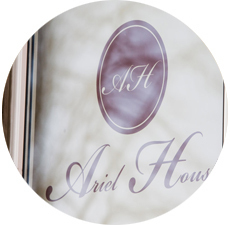 Located in the leafy Ballsbridge area of Dublin, in an 1850's Victorian mansion, Ariel House is a 4-star boutique guesthouse with an old Country House style. Just a seven min. 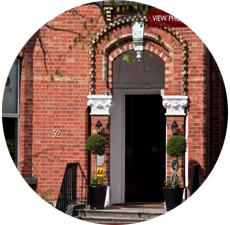 walk from the RDS, free car parking is included at Ariel House. Bedrooms have high ceilings with original period furniture and oil paintings. The beds are four poster, half-canopy beds or with ornate headboards. Rooms have power showers, satellite tv, garment press, hair dryer, tea/coffee maker. 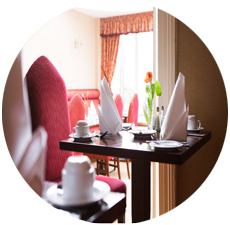 Breakfast is served in the conservatory style Dining room; Irish or Continental style with fresh juices, home-made breads, Irish bacon and free-range eggs. Relax in the Drawing room with open fire and deep leather sofas. Winner of the Irish Welcome Awards 2004 - For these awards, holidaymakers and visitors nominate the people who gave them the best traditional Irish welcome. Situated in leafy Ballsbridge near Herbert Park, close to several pubs and restaurants, Lansdowne Road rugby stadium, RDS showgrounds. City centre is 10 minutes by taxi, or 5 minutes by DART, the suburban rail line.